Established by the Florida Legislature in 1986, the Florida Artists Hall of Fame recognizes persons, living or deceased, who have made significant contributions to the arts in Florida either as performing or practicing artists in their disciplines. These individuals contribute to Florida’s national and international reputation as a state with a sustained commitment to the development of cultural excellence. The Florida Artists Hall of Fame currently consists of more than 50 inductees, including musician and performer Ray Charles, actor and director Burt Reynolds, writers Zora Neale Hurston, Tennessee Williams and Ernest Hemingway, filmmaker Victor Nunez, and visual artists Duane Hanson, Robert Rauschenberg and James Rosenquist. For more information about the Florida Artists Hall of Fame, click here. Secretary of State Ken Detzner invites the press to a ceremony inducting four artists with deep ties to Florida into the Florida Artists Hall of Fame beginning at 5:30 p.m. on Thursday, February 23. DATE AND TIME: Thursday, February 23, 5:30 p.m.
302 NE 6 Ave, Gainesville, Fla.
WHO: Inductees: GRAMMY Award winners Billy Dean and Don Felder; poet Lee Bennett Hopkins; and comedian, musician and singer-songwriter Jim Stafford. Emcees: Florida Secretary of State Ken Detzner and Division of Cultural Affairs Director Sandy Shaughnessy. DESCRIPTION: Four artists with deep ties to Florida to be inducted into the Florida Artists Hall of Fame. All four artists will be attending. 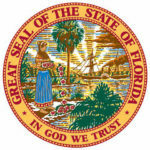 Established by the Florida Legislature in 1986, the Florida Artists Hall of Fame is the highest cultural honor bestowed upon Florida artists and recognizes persons, living or deceased, who have made significant contributions to the arts in Florida either as performing or practicing artists in individual disciplines. For more information on the Florida Artists Hall of Fame and the 2017 Inductees, please visit: dos.myflorida.com/cultural/programs/florida-artists-hall-of-fame/.